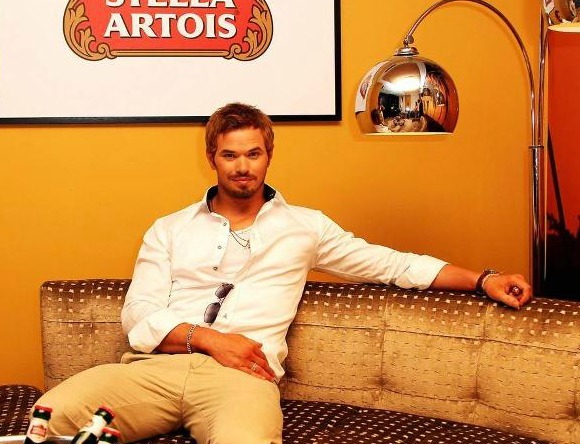 Kellan Lutz was spotted at the Cannes Film Festival with a pair of John Varvatos shades! The Twilight hunk relied on his navy V760 aviators as he party-hopped around around the festival ($200). Learn more about the eyewear designer John Varvatos on the Plus Dragon fashion scales or visit the John Varvatos website to learn more. By the way, if you missed our previous article, you may want to check out Alec Baldwin who also appears to be a fan of John Varvatos eyewear. You can learn more about Kellan on IMDB or you can visit the Wikipedia page for him.